How do they work and how to arrange them. Sessions typically last 60 minutes and can be in-person or distant (over the phone or Skype). A distance session may be preceded by a preliminary exploration of the astrological chart pursued by the facilitator through a shamanic journey or other healing techniques. The session itself starts with a brief chat aimed at clarifying your issue or intention, followed by a suitable shamanic practice and a successive chat aimed at examining what emerged during the practice. The purpose is to identify what are the main areas of strength or potential, and that are unbalanced or weak, finding tools for transformation and healing, allowing a deeper connection with yourself and your deeper identity. The session itself starts with a brief chat aimed at clarifying your issue or intention, followed by a suitable shamanic practice and a successive chat aimed at examining what emerged during the practice. The purpose is to identify what are the main areas of strength or potential, what is unbalanced or weak, finding tools for transformation and healing, allowing a deeper connection with yourself and your experience of the Divine. The session is also aimed at identifying a series of empowering and healing practices and remedies that the client can use for a certain amount of time (from one month to one year) in order to support and implement what has emerged in the session. During the time after the session Franco Santoro remains available for assistance. Follow-up and multiple sessions are possible and recommended. Though the first session is autonomous and can already provide significant guidance, for a complete assessment Franco recommends a minimum cycle of three sessions. Each session is geared according to the current situation and intent of the client. The aim is to focus on prominent issues, both from an ordinary and multidimensional perspective, releasing grievances, while uncovering authentic talents and finding empowering guidance. Fees for an in-person or distant session (one hour, plus preliminary assessment and assistance) are income related: Euro 60, or £ 50, or $ 75 (low), Euro 75, or £ 65, or $100 (medium), Euro 90, or £ 75, or $120 (high). Bursaries and concessions are available for those who cannot afford the low fee. Payment by bank transfer or Paypal. Sessions are offered by Franco Santoro (in English, French, Italian and Spanish). Are you experiencing an intense moment in your life? Do you feel the urgency to discern the best course of action and make significant choices? Are you longing to fully express your potential, but you are blocked by grievances and fears? Do you need assistance to unveil both the source of your inner power and fears, directing their energy to support the manifestation of your true talents and aspirations in life? Do you lack clarity regarding your purpose, or have you worked hard at it, without achieving any significant result? Do you want to find and fully express your authentic gifts, what truly gives you joy and satisfaction, while also being of benefit to others and the world. Using astroshamanic work and other pragmatic healing techniques, I can help. We can work together to take care of what is needed to allow your life to flow in accordance with your authentic passion and highest potentials. Through direct personal online support and sessions, we can devise a short, medium or long term astroshamanic programme aimed at fully manifesting your intention. The traditional approach of this shamanic practice is based on the understanding that most painful issues we experience in life are due to the fact that significant parts of our souls are trapped or lost in the spirit or non-ordinary worlds. The task of the shaman is to identify and retrieve the missing parts, restoring them into the wholeness of the person. In traditional soul retrieval sessions the client remains passive and unconscious, while the shamanic practitioner does all the work. In our astroshamanic soul retrieval sessions, on the contrary, the clients are fully present and directly involved in the process of retrieval, while the practitioner supports and guides them. I employ the astrological chart experientially and shamanically as an additional tool to identify missing parts and their healing dynamics, upon which we then operate pragmatically. Soul retrieval involve first the acknowledgment of the missing parts and their original separation, followed by their search and retrieval. Our astroshamanic approach also aims at fully restoring those parts, preventing them to be lost again and allowing them to be harmoniously integrated in accordance with the client’s intention. I can effectively help at all levels of this process though short, medium and long term assistance. 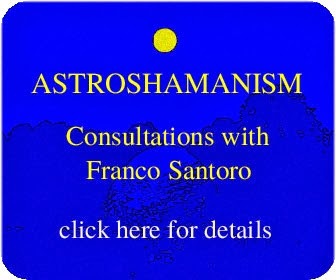 An astroshamanic bodywork application developed by Franco Santoro since 1988. Its aim is to explore the body's spontaneous energies of ecstasy, uncovering and directing their healing potentials with integrity and clarity of intention. This unique approach to energy bodywork utilises the potent dynamics of shamanic trance to create energetic states of harmony in your body, soul and spirit. 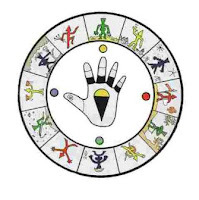 Through the sensitive and empowering use of ritual strokes, contacts and postures, operated in alignment with the earth and celestial rhythms, astroshamanic touch works on the multidimensional body, reawakening the remembrance of our original nature and purpose. The aim is to create remarkable opportunities for releasing individual and collective blocks, becoming a gateway for healing energies and directing them towards honourable intentions. 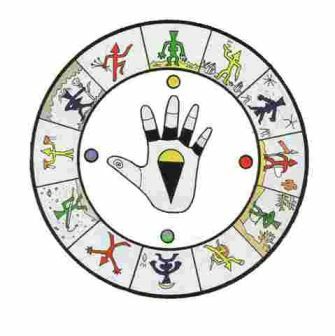 In particular astroshamanic touch works on the skeleton and bone structure, which is regarded as a core multidimensional hardware for storing, distributing and redeploying information and energy. All physical touch in our sessions and workshops is voluntary and optional, with boundaries set according to what is safe for the client. Also distant sessions, via Skype, are offered and are highly recommended, and as effective as one-to-one sessions.